For the best concrete remover available, look no further. 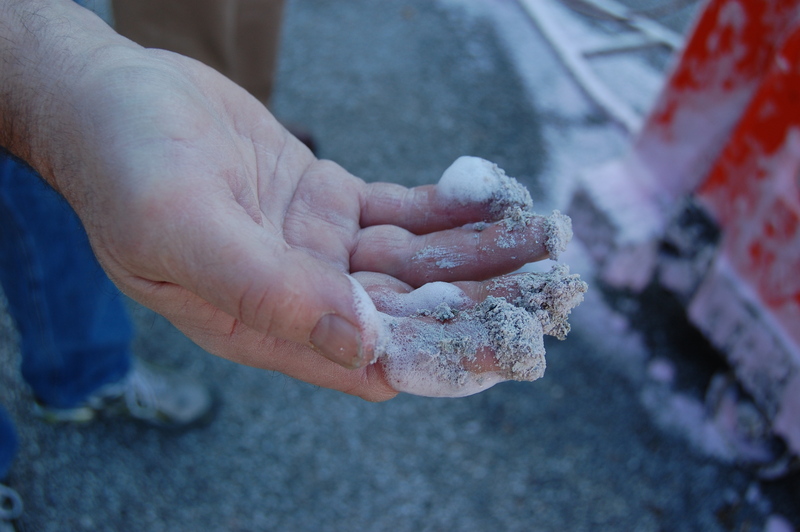 Blast-Off is a concrete buildup and splatter remover that lives up to its name. 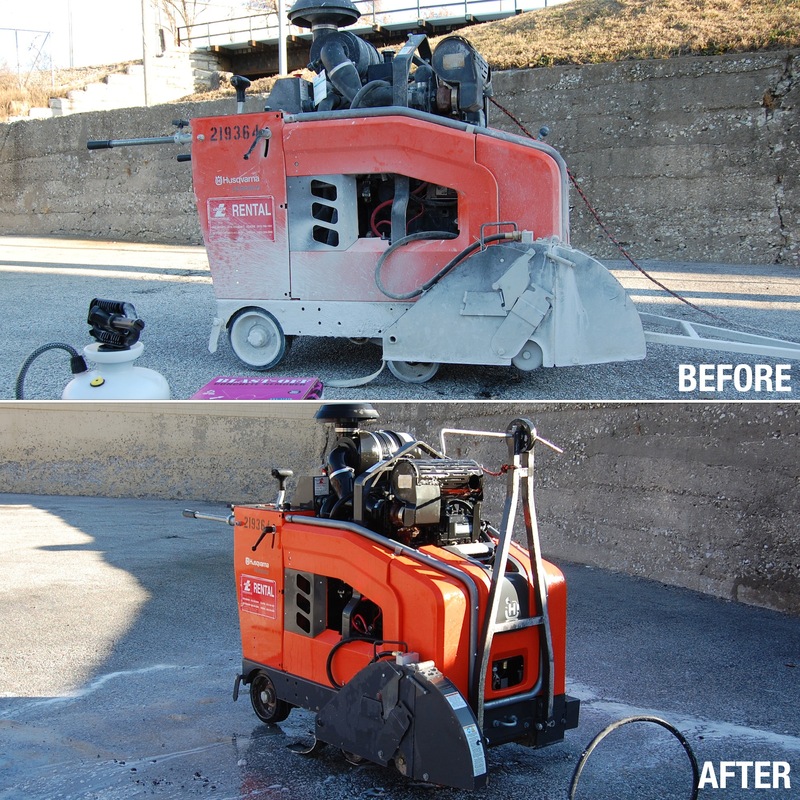 It rapidly softens concrete so it can be blasted away by a power washer without damaging equipment. Blast-Off’s cleaning ability comes from a powerful carboxyl-containing organic molecule found in beets and sugar cane. It won't corrode or damage anything. As a result, you can spray it on your truck mixers, drum mixers, forms and accessories, electric buggies, dosing equipment, pavers, pumps, mechanical plates and shovels, scaffolding, hand tools, and more! Furthermore, it's completely safe on tires, windows, electrical cords, as well as the tough surfaces. When sprayed with a Pump Foamer, Blast-Off is ready to use and creates a thick, rich foam that clings to horizontal, vertical and overhead surfaces for increased efficiency. A powerful detergent cuts through, oil, dirt and exhaust soot, in order to fully clean any and all surfaces. Blast-Off contains a red pH-sensitive dye that eventually becomes transparent (water white) indicating a neutral pH and signaling that the applied product has completed its reactive cleaning process. For bigger jobs and equipment, check out the concentrated formula, Blast-Off Foam Concentrate.